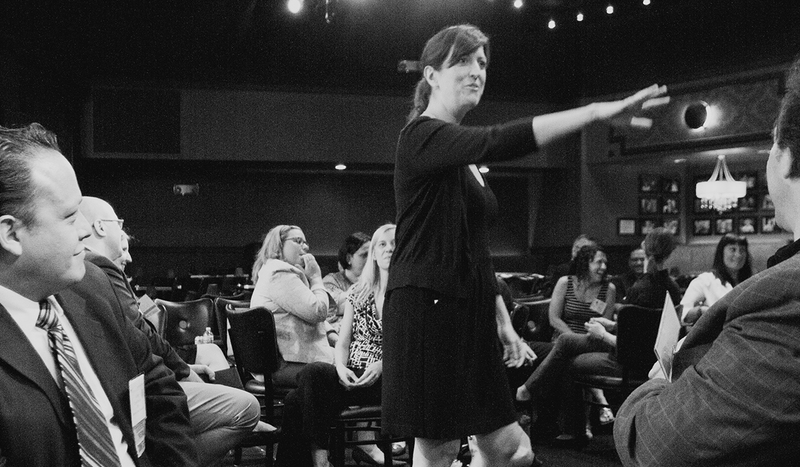 I had the privilege of representing Second City Works (SCW) at the Training 2016 conference this week, and a single 3-minute conversation will stay with me for quite some time. A former SCW client stopped by our booth (great!) in part to share her most recent sales experience with us nearly 12 months ago (not so great!). We discussed different ways for us to work together again, and how we could add some flexibility to our approach to make SCW a viable option for her company. Luckily for us, her past client experiences were fantastic – so much so, she and others remembered precisely who the facilitators were from their last series of workshops (more than great!). And then the most compelling, saddening, gratifying, and emotional part of the conversation – she thanked me. Not in the “I’m glad I got another free pen to bring home to the kids” vibe of all too many conference conversations. It was a genuine, heartfelt thank you – that simply by listening intently, answering her concerns, and helping to chart a path forward, I had done something that she was clearly unaccustomed to. That may be the worst part – I didn’t feel that I had done anything special. Are we so starved for authentic conversation that when we have one, a sense of genuine surprise results? Are we so unwilling to display any vulnerability in our business relationships that when someone does, we don’t know how to react? How often are we truly grateful for what we receive from our colleagues, clients, and vendors, from the shortest conversation to a multi-million dollar project? What did I do differently in that conversation, in that moment, that elicited a sincere thank you? How can I replicate that, time and again? 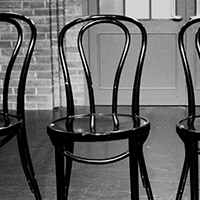 At Second City, authenticity – and it’s best friend, vulnerability – are two core skills of a great improviser. An audience will see right through the character that isn’t authentic, that doesn’t reflect back a real truth – in comedy or otherwise. So much contributes to that authenticity – tone, body language, self-awareness, candor, and more. Yet, real authenticity has become so rare that we feel compelled to point it out and applaud it when we see it. In the workplace, we erect barriers that stop us from displaying our authentic selves. From the often-gratuitous “How are you?” to the inevitable “I’m great” response, we willingly seek the safety of the conventional to ensure we don’t display real emotion. I’ll admit, will a conversation about Donald Trump, the Pope, and immigration be the best way to win friends? Likely not. Save that for the bar with like-minded compatriots. Yet, that shouldn’t stop us from taking a sincere interest in those we work with, or prevent us from sharing who we are. Our companies collectively spend millions on team building, two-way communication, Meyers-Briggs workshops (ESTJ right here), trust falls and so much more in the hope that teams will become well-oiled machines of happiness and harmony. I fear we’re all missing the key ingredient. We can’t communicate well if what we’re communicating isn’t a true picture of who we are. We can’t build great teams without the trust that truth brings. And beneath all of it is authenticity and vulnerability. Are we willing to be it? Are we willing to show it? Can we take the risk even when others won’t? I hope so. Our work, our teams, our companies all deserve it.